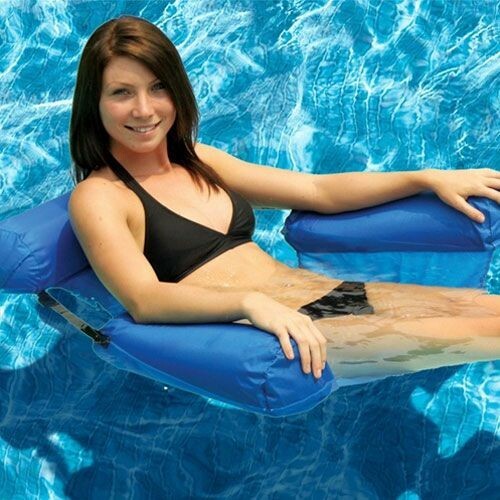 Its ultra-compact design makes this a versatile, portable, go-anywhere water lounger. 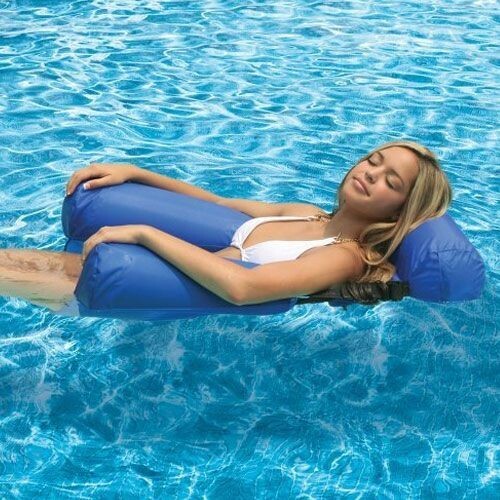 The adjustable positioning feature for the armrests, back support and headrest make for a more personal and comfortable fit—in a chair- or chaise-style position. 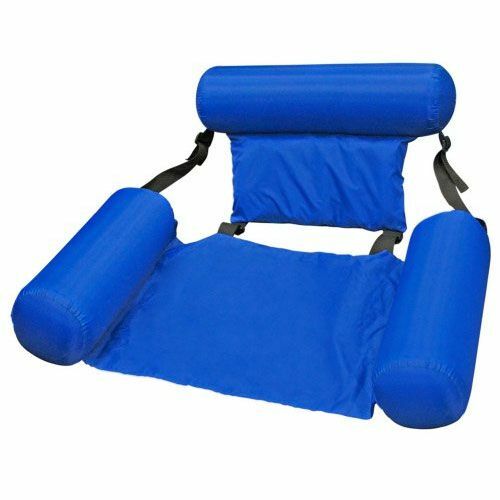 The heavy 420 denier nylon outdoor fabric is fast drying and durable; and the four compact interior air chambers allow quick and easy inflation or deflation. Folds to a handy carrying size for easy storage or travel. 37L x 32W".